James is 45 years old and had a severe tibia fracture after getting hit by a car. It was surgically repaired by another doctor, but he developed an infection and the surgeon had to remove the plate and screws that he used. The fracture did not heal and he developed a painful non-union (incomplete healing of the fracture) with deformity. We treated him with "Distraction Osteogenesis of the nonunion". A frame (Ilizarov-Taylor Spatial Frame) was applied without operating directly on the non-union. This was a minimally invasive procedure. The frame is applied to match the deformity. 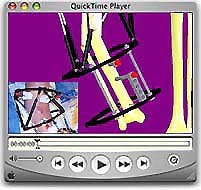 Over the next few weeks with gradual daily adjustment of the frame, the leg was straightened. He was allowed to walk and put all of his weight on the leg. After several more weeks, the fracture was completely healed and the frame was removed. He is back to all his activities, has no pain, and is very happy.